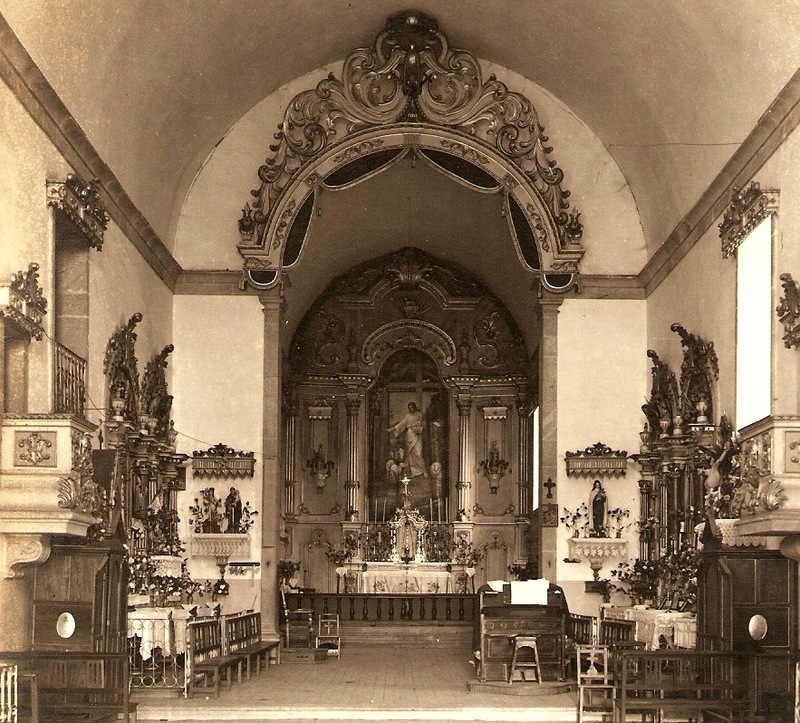 Built in the years 1908 and 1909, the Parish Church of Balasar which the Blessed Alexandrina knew, where Fr Mariano Pinho preached and where Fr Leopoldino celebrated years and years was as we see in this photograph. How different from today! Beautiful wood carvings! Over the tabernacle, one sees the canopy provided by Alexandrina. Fr Humberto delighted with the panel of the Good Shepherd. My God, when will I see Thee and love Thee? Time does not pass, eternity doesn’t come. Jesus, why can’t I see any little ray of light yet, or find a moment of joy among my loved ones? Most Holy Will of my God, I want you, I love you with all my heart and with all my soul. I live as a fugitive, like a thief hiding myself from everything and from everyone. But by the same token I cannot stand the pain caused by seeing the distance that separates me from Jesus: He in Heaven and I am on earth. My God, when will I see Thee and love Thee? That source in me from which sprang the longing to love and possess Thee has dried up in me. 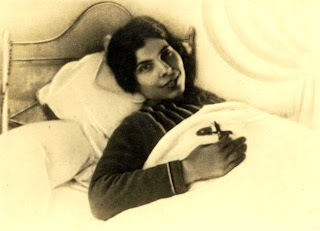 Some time ago, has been published in Spanish the Blessed Alexandrina biography, written by Father Umberto, Alejandrina – Alma de Víctima y de Apostol. See here. The original Italian book had Portuguese edition under the title Sob o Céu de Balasar. We continue to study the specific context in which appeared the Holy Cross of Balasar and the first and extremely difficult years that followed. The cross is there, indeed, but goodness is barely visible; you see more evil, the vile interests. Yet the cross is goodness, as we know and our Blessed knew better than us. So she had to smile, always to smile. It would be her smile that attracted people. I do not want the souls come to me through fear and force. Poor souls, it is enough for them to experience remorse and the fear of having offended Me! A shrine dedicated to the Holy Eucharist in the parish of Balasar? Called "Architecture in the Holy Places", the contest has "130 students enrolled, divided into 55 teams from eight different universities," said the Agency ECCLESIA’s Varicam Pereira, technical director of TUREL. The work must be delivered by next May 20. 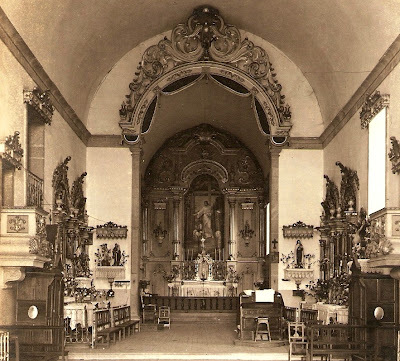 The parish of Balasar (Oporto), the District of Porto and Braga diocese, is known by many Portuguese Catholics by pilgrimages to the house and tomb of the blessed who lived and died there, the high altar by John Paul on April 26 2004. The contest rules indicate that competitors must take into consideration "all available space to use and what the best solutions, not forgetting the necessary support services as toilets, car parks and support for pilgrims." The building must be able to tender for around 2000 seats and has to maintain an ambient balance between the house with the Shrine of Blessed Alexandrina. The Sanctuary will, therefore, be a "strong link between the shrine and tomb of the blessed." The objective of this initiative is to foster, among students of architecture, "the revival and enhancement of buildings and sacred spaces and the awareness of the potential that these sites have to attract people." We will award the best work for a religious building in concrete, "in compliance with all legal and regulatory restrictions applicable to the type of building." It was edited a new number of the Bulletin of Graces (Boletim de Graças). The major novelty we found in it was the creation of the Foundation "Alexandrina of Balasar” (Fundação “Alexandrina de Balasar”).